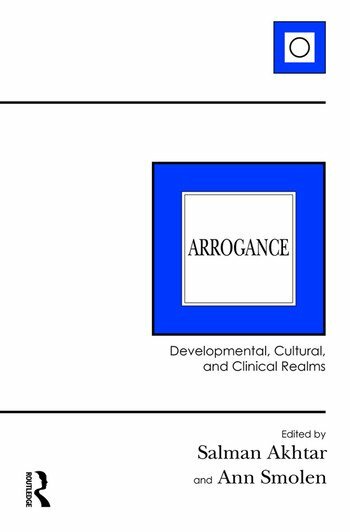 Arrogance as a specific constellation of affect, fantasy, and behavior has received little attention in psychoanalysis. This is striking in light of the enormous amount of literature accumulated on the related phenomenon of narcissism. Rectifying this omission, the book in your hands addresses arrogance from multiple perspectives. Among the vantage points employed are psychoanalysis, evolutionary psychology, cross-cultural anthropology, fiction, as well as clinical work with children and adults. The result is a harmonious gestalt of insight that is bound to enhance the clinician's attunement to the covert anguish of those afflicted with arrogance. Kathryn Baselice and J. Anderson Thomson, Jr.
SALMAN AKHTAR, MD, is Professor of Psychiatry at Jefferson Medical College and a Training and Supervising Analyst at the Psychoanalytic Center of Philadelphia. ANN SMOLEN, PhD, is a Training and Supervising Analyst at the Psychoanalytic Center of Philadelphia.